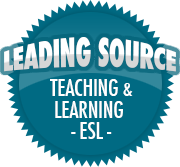 Five Tips for a Successful Open Class (Class Observation) | So, You Think You Can Teach ESL? Open classes, or classroom observations, are stressful for everyone. Teachers may feel uncomfortable having their every move noted; students may not act naturally due to unknown persons in the room; administrators and/or parents give up time they could be using to get something else done. Here in Korea, open classes are usually for parents to come in and watch their children’s class and teacher. They may form a better (or maybe worse) opinion of the instructor and school – depending on how the class goes. Most open classes are held twice a year, once each semester. Depending on the school, some teachers don’t need to prepare any special plan and can just teach the normal lesson; other teachers may need to prepare a special lesson to impress the parents. While it may seem a daunting task, fear not fellow teachers! First and foremost, BE PREPARED! – As with any lesson, thorough preparation is key. It’s embarrassing to come to a normal class unprepared, but it’s even worse to be unprepared for an open class. Typically, teachers are told one or two months ahead of time before the class so they have enough time to perfect the lesson plan and gather the necessary materials. Second, communicate often with your co-teachers. – During the planning process, it’s highly beneficial to discuss your ideas and flow of your lesson with your co-teachers. You may have this brilliant idea for an activity, but another teacher might have a better one. Talking with other teachers allows you to think in different ways and get your activity just right to make it fun for both the students and parents. Third, during the class state your objectives for all to hear. – While this is a good thing to do for every class, it looks even better when you do it for an open class. The students are informed of their objectives and it gives them a clear idea of why they are learning the material. The parents see that the teacher is knowledgeable, as well as serious about their students’ educational needs. Fourth, don’t freak-out when things don’t go as planned. – No matter how good your plan looks, or how ready you think you are, something will inevitably go awry. Students may show up late to class; if you’re using technology – such as a Power Point presentation, or showing a video clip – there may be “technical difficulties”. When those things happen, continue on as normal. Let the students know that there are some difficulties and have a back-up strategy ready in case. It’s a minor disruption if you have a back-up activity. The parents/administrators observing you also see how well you can adjust in adverse situations. Fifth, make everyone feel welcome. – It’s important to create a welcoming and friendly atmosphere for both students and observers. This helps you feel more relaxed, and lets the observers know their presence is appreciated. Parents and administrators definitely have a stake in the students’ education. Parents want to see their children learn in a safe and fun environment, and a teacher who is both knowledgeable and caring. Administrators want to see instructors use proper teaching methodologies, effective management strategies, and meet state/national learning standards. These tips, and many others are available to help ease any anxiety you may have – whether you’re a veteran teacher or a newbie. Observations provide precious feedback on the effectiveness of your methodologies, classroom management strategies, how well students comprehend the material, and even whether the curriculum itself is too high or low (or just right). There is lots of room for growth when reflecting on observations and the feedback provided.